Hungry Caterpillar 1st Birthday for Leo Leo’s 1st birthday was celebrated with fun and laughter together with his loved ones. 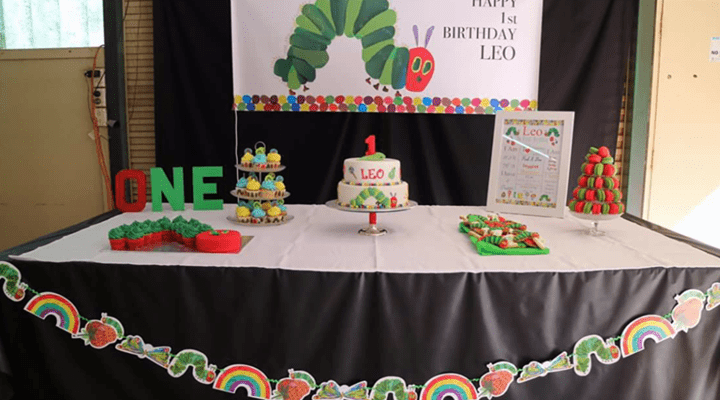 It was indeed a successful celebration beautifully organized by Rebecca with the very colorful hungry caterpillar backdrop. The backdrop brings everything together so beautifully, it’s definitely the hero but we also love that cute cupcake caterpillar!